I am quite possibly the biggest Les Mis fan on the planet. Needless to say, when Les Mis took to the cinemas, I was front row center staring googly eyed at the screen buzzing with great anticipation and oozing with excitement. I could spend the rest of this post and several future posts gushing about how much I loved this movie, but I’ll spare you that and go on to the one thing – or person I should say – that inspired me the most. And the 3 things she taught me about how to make my singing dreams come true. The lovely and incredible Anne Hathaway. Haven’t seen Les Mis yet? Get out from under your rock and go and see it! It is worth it just to see her performance of “I dreamed a dream.” Period. Anyway, after I gathered myself together again, having used up a whole packet of tissues as my tears flowed non-stop through her rendition of the critically acclaimed “I dreamed a dream”, I did get to reflect on what she specifically taught me. In relation to my life and the lives of many people whom I coach. How do we make our singing dreams come true? 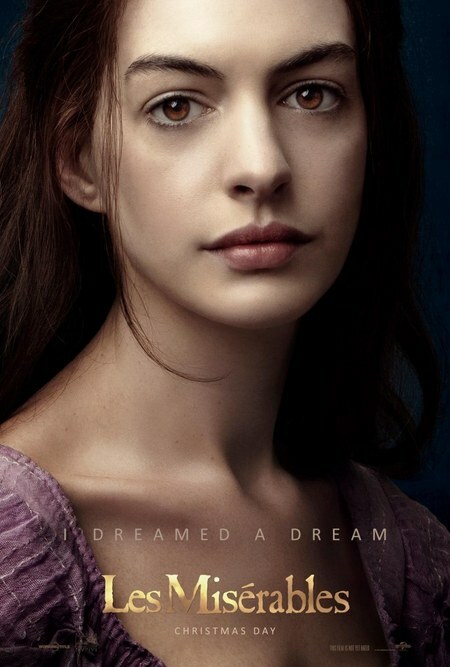 Anne Hathaway, was utterly believable as Fantine. I and countless others truly FELT HER PAIN. As she sang ‘I dreamed a dream’ – it was much less about getting the notes right and singing it with flawless technique but ALL about telling the story. Fantine’s story. It’s what made her performance in my opinion the best depiction of Fantine I’ve ever seen. As she sung, I felt my heart being ripped to shreds as I experienced her pain. Her pain of losing everything and sacrificing all for her daughter. She took me on a journey. She captured my heart. By the end of that song, I felt like I KNEW Fantine. To really make it as a great singer, we not only need amazing vocal technique to pull off the songs we want to sing well, but we need to capture our audience’ heart with the story we are telling. If we have sung with flawless technique but have not moved our audience, we have failed as a singer. Songs and music are about moving the heart – taking people beyond their day to day experience and transporting them to another world. Singers have to be willing to be vulnerable and invite people in. If your audience feels like they KNOW you after they’ve heard you sing, you’ve truly made it to the next level. Are you willing to be vulnerable and give a bit of your heart away to your audience when you sing? Apparently, Anne almost didn’t score the part of Fantine because she was considered ‘too young’ to play the part of the suffering mother. But she was determined to prove them wrong. And part of her utmost commitment to playing the part well was to lose 25 pounds by eating only 2 squares of dried oatmeal per day! Ok, so this might seem a little over the top. But nonetheless her commitment is to be commended. She had a ‘whatever it takes’ attitude to make her performance of Fantine not only her very best performance ever, but The Best Ever. And if part of that meant eating yucky oatmeal paste, that’s what she was willing to do. Anne Hathaway was not only ready to obsessively commit to playing the part with perfection, but she did it gladly. She made a decision to be the best actress she could be, she counted the cost and then committed. What about you? What kind of a singer do you want to be? Are you ready to truly commit and pay the price to be The Best Singer you can be? And will you do it gladly, honouring your own decision and the gift and passion you have for singing? As a Vocal Coach I obviously advocate singing correctly. And Anne Hathaway does not disappoint in this department. She did not compromise her outstanding story-telling and acting with less than great vocal technique, which is often the case with artists, especially in live performances. I know some will disagree with me on this, as there have been comments circling the media about people complaining that she didn’t sing well enough. Ok, so it was a little ‘rough around the edges’ – but that was due to her embodying the character NOT bad vocal technique. Remember, she was playing a mother who was in the pit of despair, on the brink of death and about to lose her daughter. When you get over that and really listen you’ll hear that Anne uses a great balance of soft and controlled head voice, as well as incredible cresendo’s to full belt chest voice with ease of transition. This is obviously through years of training probably from a young age in singing technique. Having a solid foundation of great vocal technique gives a singer complete freedom to tell the story effectively. Without great vocal technique, a singer is often insecure about certain high notes or difficult passages. When you’re worried about whether or not you will hit that high note in the Bridge or whether you’ll have enough breath to sustain that last money note, you’re not likely to be able to free your mind up to just embody the song and sing it from your heart. Have you invested in training your voice for a lifetime of incredible & impacting singing?